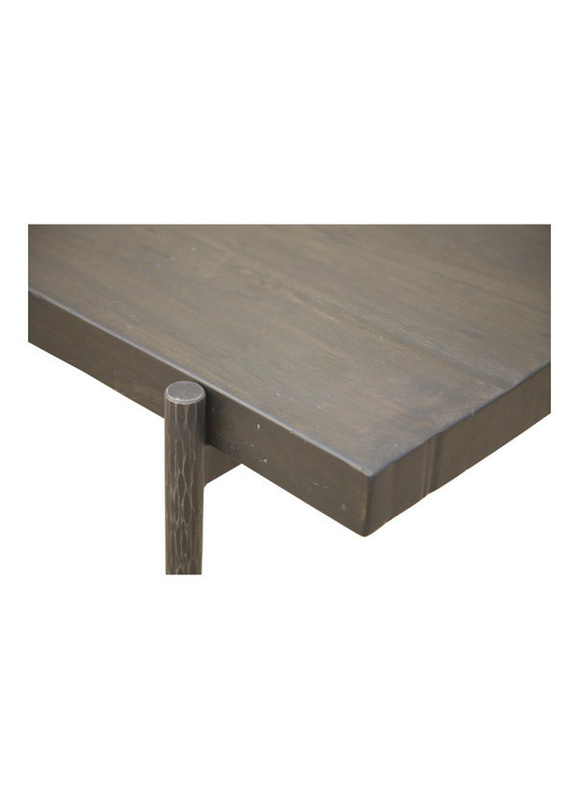 Constructed using various reclaimed hardwoods, the Shutter Dining Table is set upon slender, solid iron legs, for an elegantly-rustic look. 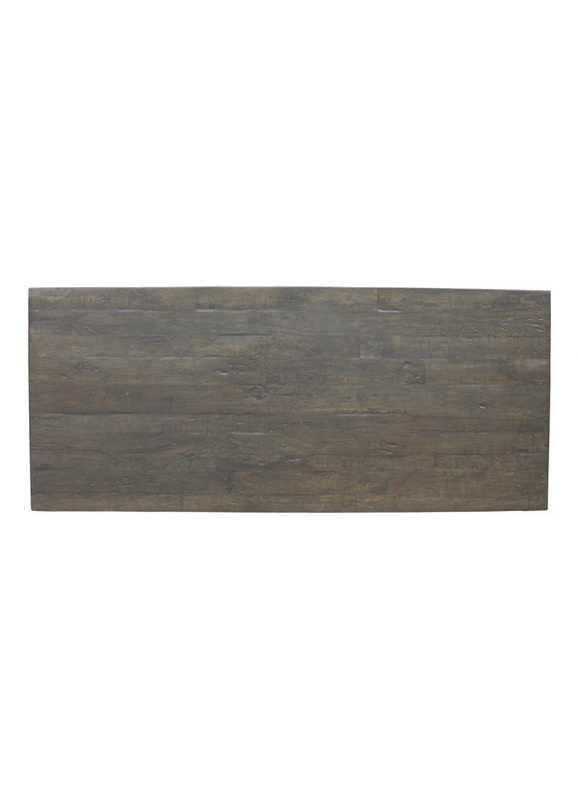 Little work done to the reclaimed wood, to give a time-worn look to the table. 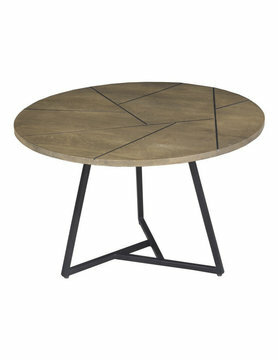 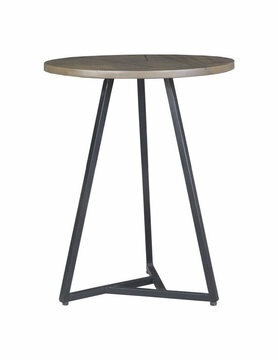 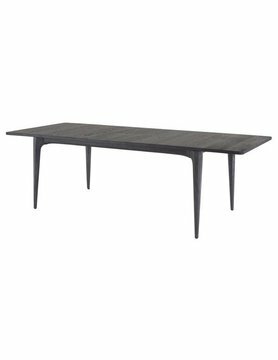 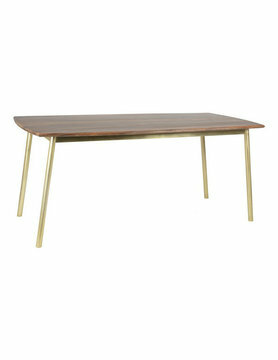 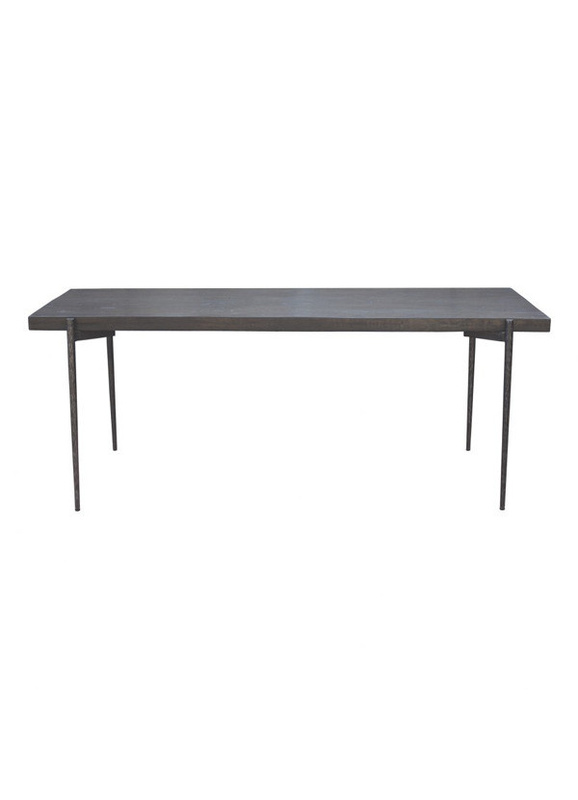 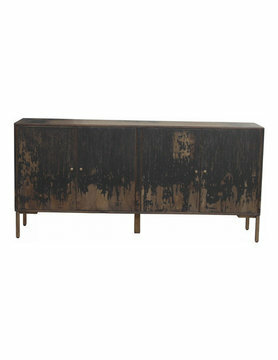 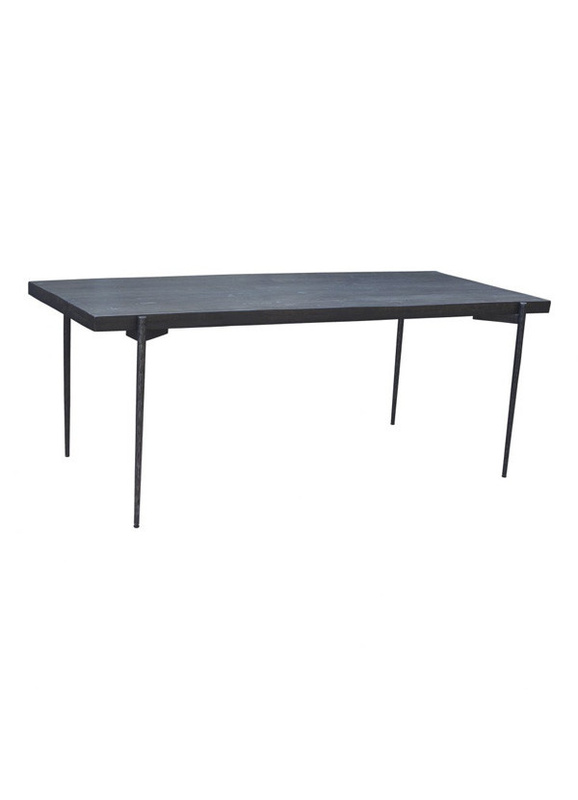 The solid legs have a faux-wood pattern that gives them depth and adds even more character to this fashionable table.